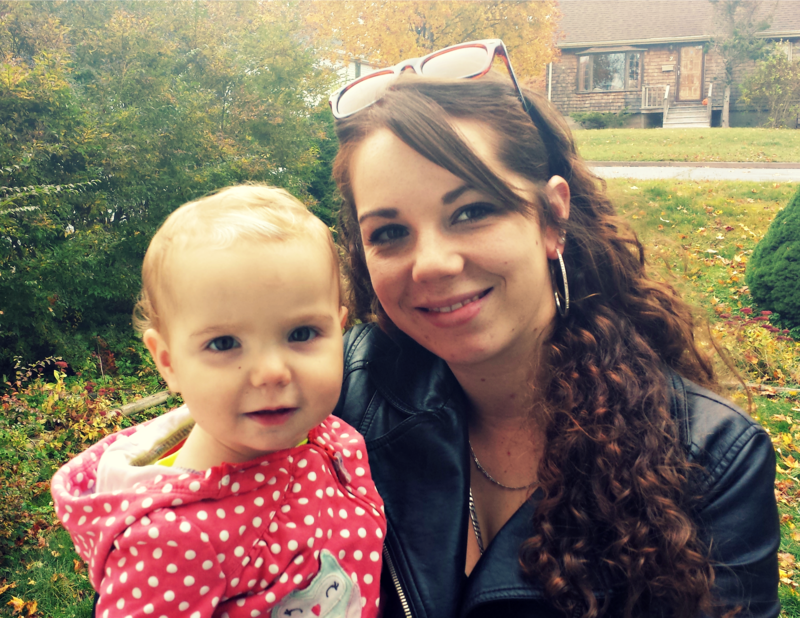 Day 310 – I had a visit from two extremely lovely ladies. I love those sweet faces. Day 311 I had a fabulous night with two of my very best friends. 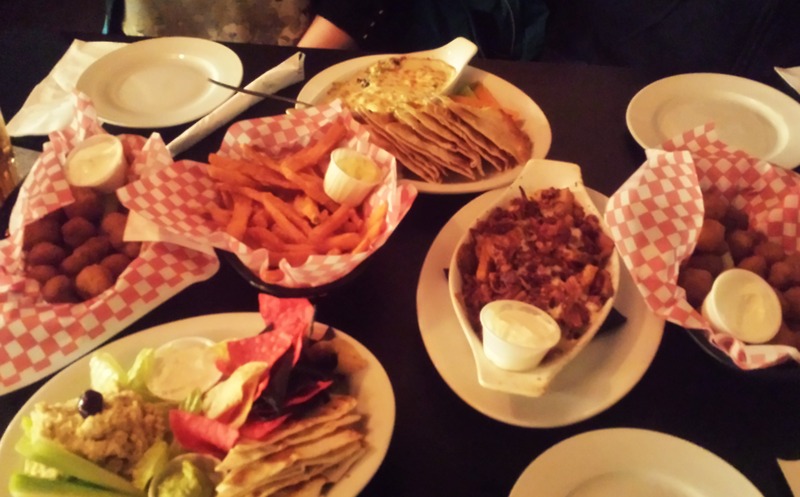 We may have over ordered but it will make a great story. 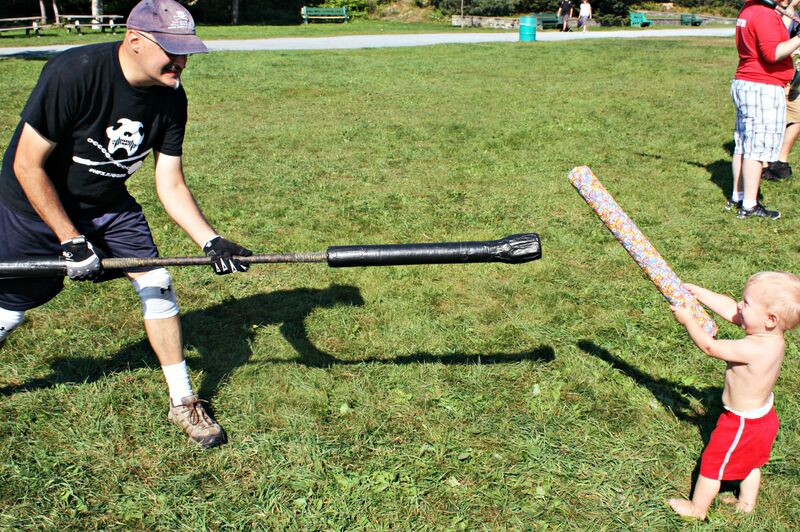 The second annual #HFXJugger BBQ in the park was a total success. Sunshine, food, friends and plus we got to show off how we train our young from the time they can walk. Seriously though, how cute are these boys?! Days 214 – 221 A VERY BUSY WEEK! Holy smokes guys this last week has been CRAZY busy. Fun but busy. I told I am trying to cram as much into this summer as I can. I haven’t had time to post the pictures but I promise I am taking them every day!! 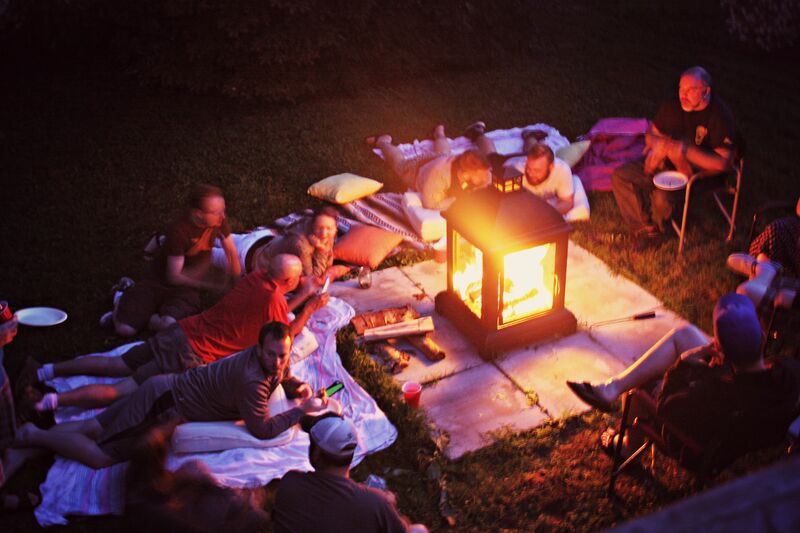 On Sunday we took advantage of the long weekend and has a crew around for a BBQ and fire. On Monday Aimee and I finally made it out to our favorite swimming hole. 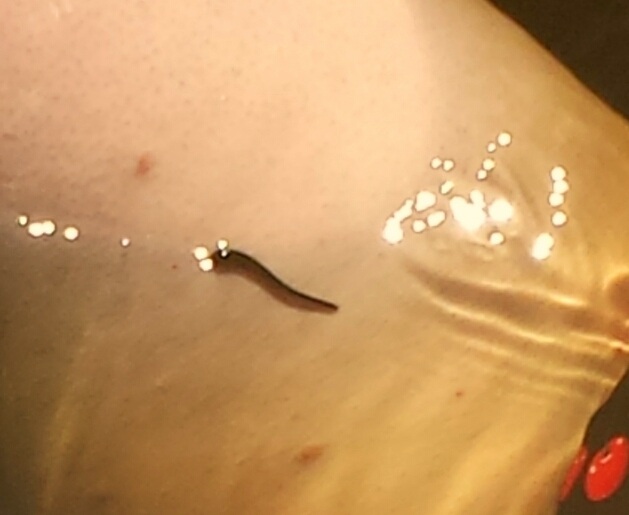 There I got to experience my first ever leech. I won’t lie, it freaked me out. But I still stopped for a picture. 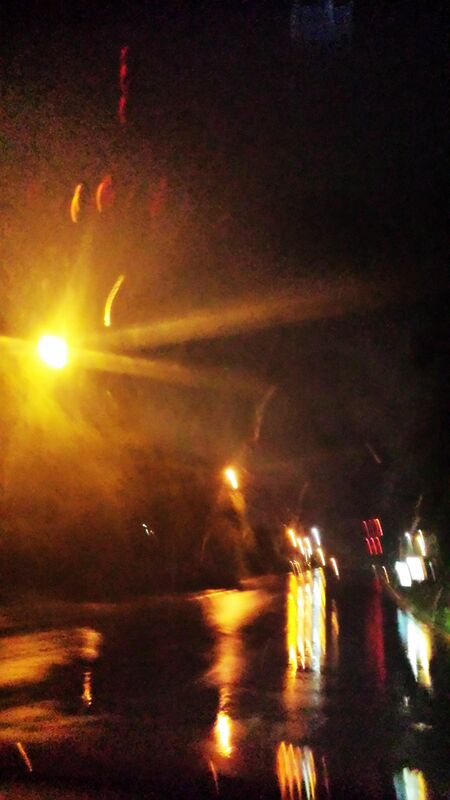 Tuesday night Gil and went for a drive to play some Ingress despite the rain. 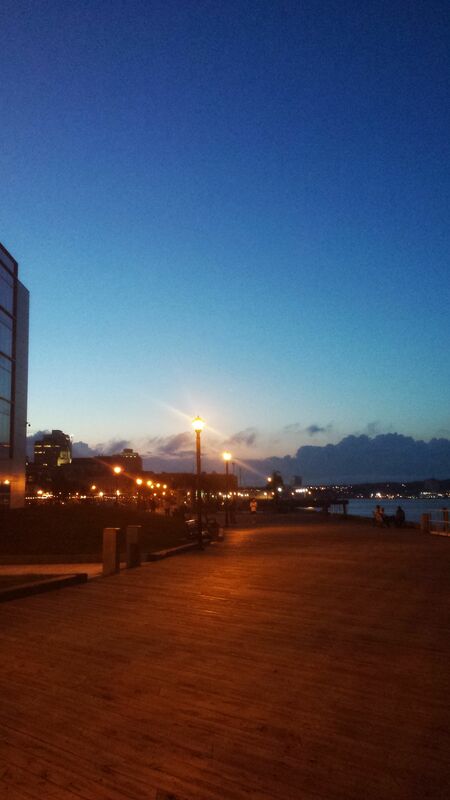 Wednesday we had a beautiful evening, after dodgeball Gil and I went for a LONG walk in downtown Halifax, got some Cow’s ice cream and played Ingress. While Gil was playing Jugger on Thursday I took a walk over to my old stomping grounds. 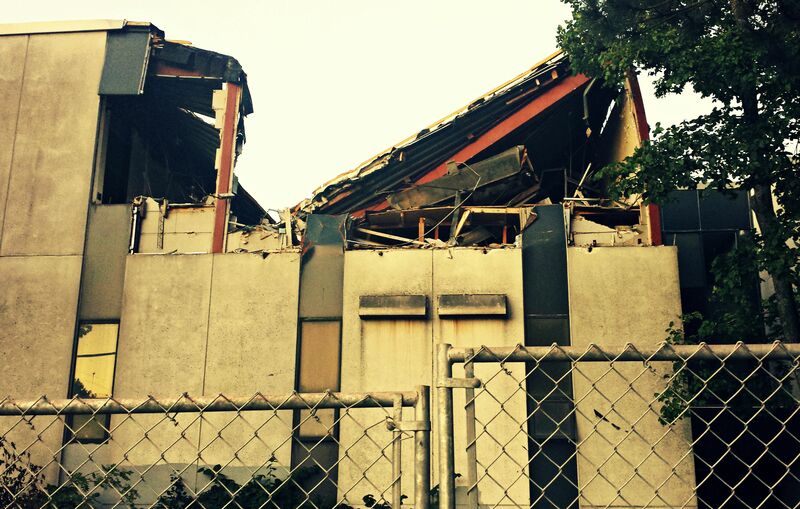 My high school is getting torn down. This gives me a sad. Friday night date with JT! 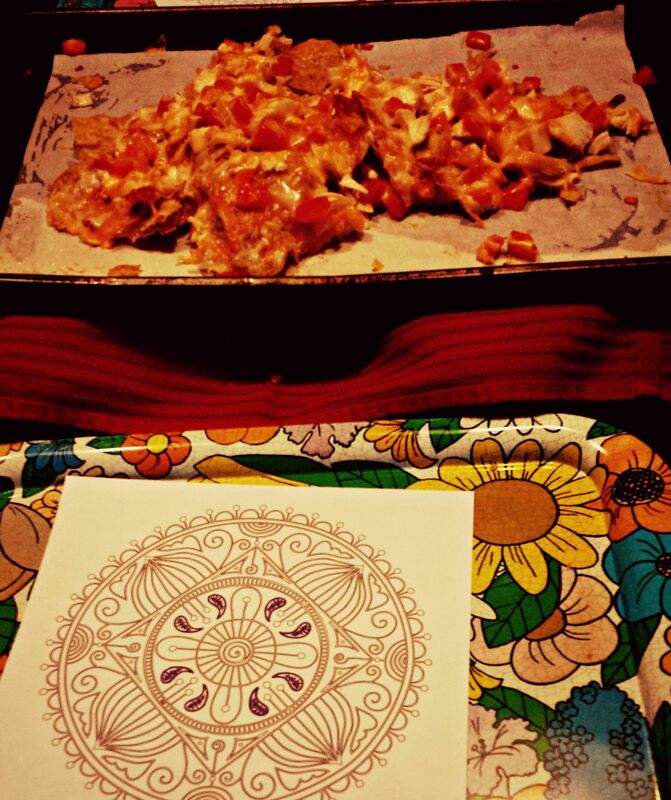 We ate amazing nachos and COLOURED. It’s totally cool now for grown ups to colour. How awesome is that? On Saturday afternoon I got some new ink! Tonight is Sunday. 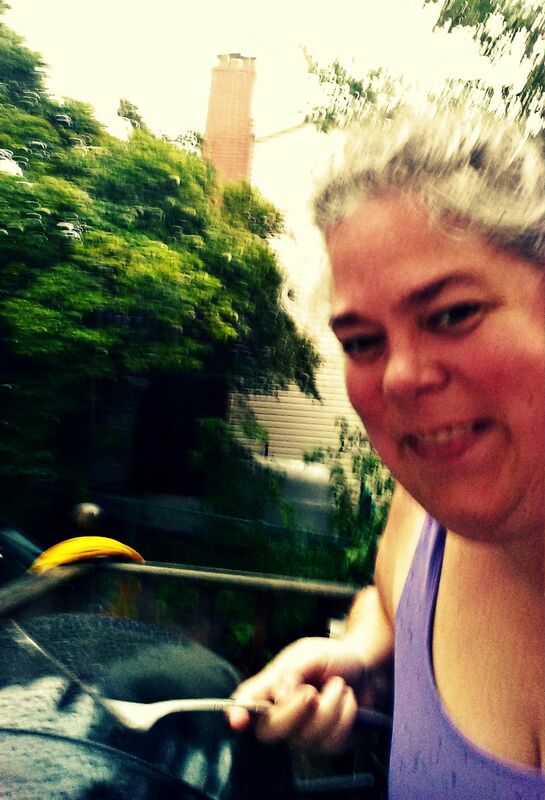 It pretty much rained all day but I wasn’t going to let that stop me from my plan of BBQing dinner. This is me trying to take a selfie in the pouring rain. Weirdo! Day 197 – Let there be fire! Our backyard has an awesome new feature… FIRE! I am so damn happy with this development! So a few people have commented on how busy I have been this summer. It’s true, you should see my calendar! I have something going on ALL THE TIME. It’s true it is exhausting being constantly on the go, my skin is sunburned and I have amassed a startling number of new freckles. I have bug bites pretty much every where. I friggin’ love it! I am really trying to pack TWO summers into one. 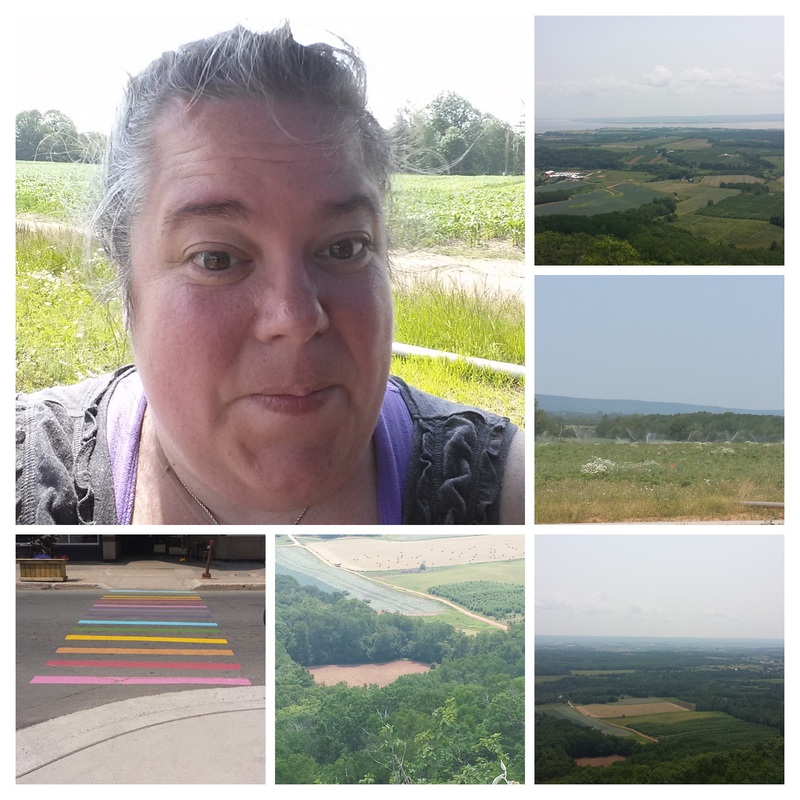 Last summer was totally dominated by my surgery, prepping for it and then recovering from it. I got to do very little fun summer stuff and even when I did I was either too uncomfortable or stoned to properly enjoy it. So this year I am doing it all. 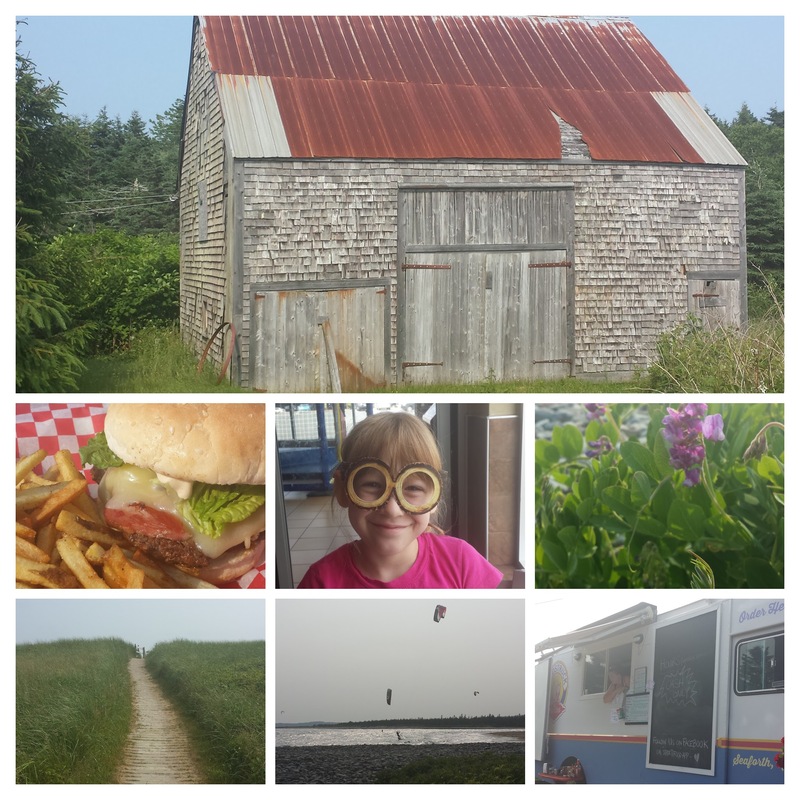 Cottage visits, swimming, trips to the beach, long car drives to find sunshine food trucks and pictures. I am going to every event that I am able to squeeze in. 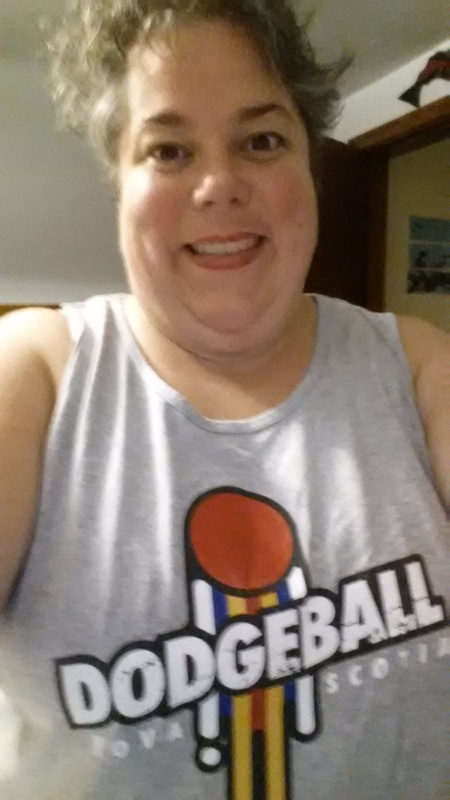 I am going to watch my friends play soft ball. I am going to ice cream. I am going to be in a parade and slide on a water slide. I am going to go watch jugger even if all I do is lay around in the sunshine for two hours. I am going to stay out late with my husband and friends even on a work night, even it it means I am going to be tired. These days are numbered so I want to enjoy every single one of them! To that end I joined my friend Lee for a month long no Netflix/tv/vids challenge for a month. Who has time to sit around watching tv when there is SO much going on?! This past weekend I was up and moving every day bright and early each day. I had a fun date Chloe. Nothing makes you realize how out of shape you are more than playing tag with an 8 year old!! Then I I took my car for a long trip down the eastern shore. I was seeking out the graveyard of my great great GREAT grandparents in the Ostrea Lake area. I didn’t find it but I had an awesome conversation with a man who maintains the Holy Trinity cemetery in Martinique. I went for a LONG walk on the beach and made sure to get my feet in that cold ocean water. I randomly ran into my friends George and Vicky and their kids at the beach. I found some amazing spots to take some pictures. I stopped in Seaforth at an INCREDIBLE food truck called FoodStruck Cantina. I had the most AMAZING service from the owner Kim and the food was just to die for! Back in town I did some more genealogy research, a big walk through a huge old graveyard to find the graves of my great and great great grandparents. Then I spend the night drinking beer and watching the UFC fight with some of my guy buds. Then on Sunday I went with some pals to pick strawberries in the valley. It was hotter than the hinges of hell but I got enough berries to try my hand at making jam! When I was done I went for a cruise around the valley taking pictures and eating ice cream. I was back olhome in that late afternoon just long enough to have a cool shower and then j was back out to cheer for softball and play with the Dodge kids! I fell into bed exhausted, sunburnt, sore but happy as a pig in poop. So far everything about its summer rocks. Now if I can oly get some more time with my Aimee and my Gilly, everything would be perfect . If this is your first time visiting my blog or if you thing the title of this post is offensive or even if you just need a reminder here is a quick synopsis from my favorite blogger Jess – The Militant Baker! Baby, that’s just how I roll…. with my rolls!! 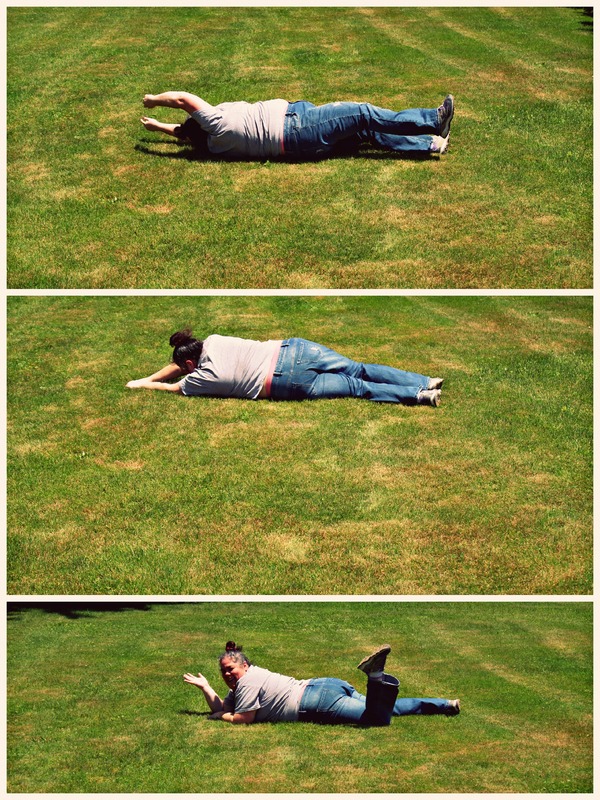 I haven’t rolled down a hill in many a decade, I had totally forgotten how fun it could be. I would like to thank the jackasses who made this list for giving me to motivation to tap into my inner child and roll down a hill with wild abandon. My girl friends waited for me at the bottom of the hill cheering me on I felt awesome and silly and dizzy, it was fantastic. Screw you haters, I am having a really grand time proving you wrong!